Today I worked at one of my jobs, the first long-term position I landed since I moved out here. I had been weaning myself away from it in favor of another that has more potential. I’m happy I did so: the job I worked today has been weaning itself away from me! It will close its doors at the end of June. 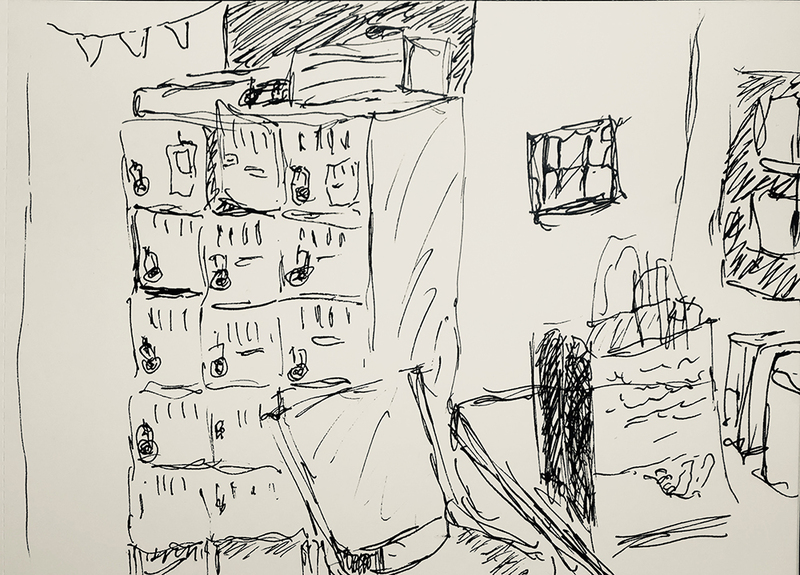 I did today’s sketch as a memory tickler – to remember part of the store after it closes for good. This entry was posted in Personal Stories and tagged art, artistic process, break room, creativity, drawing, memory, pen and ink, remembrance, sketch, sketching. Bookmark the permalink.